Sage 300 cloud keeps you connected with all your business operations with a single, integrated solution. It affords you greater visibility across all functions, allowing you to share information and communicate with increased ease. 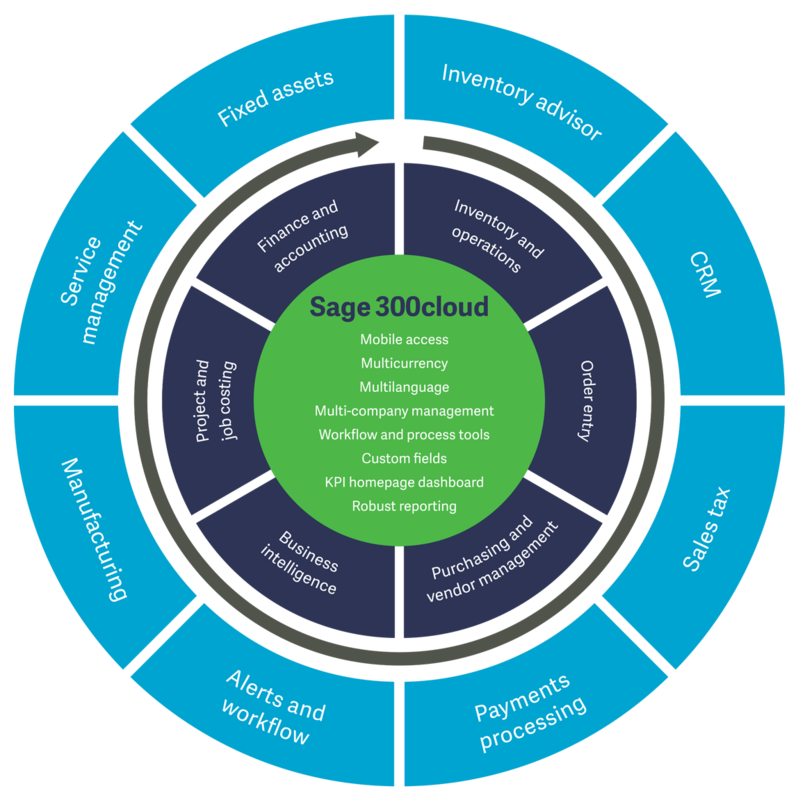 Sage 300 cloud offers a wide range of choices for modules, deployment methods and editions that can be added to your existing software to adopt greater functionality with the growth of the business.